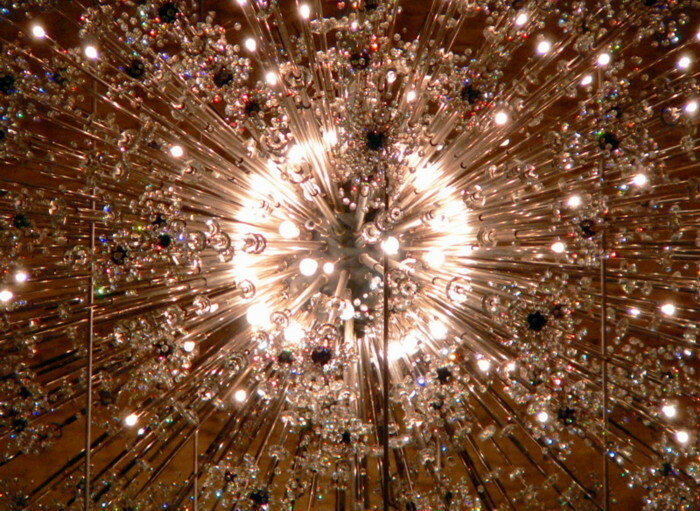 This is the chandelier from Lincoln Center in NYC. It's up in the air and I had to take it from outside, i think i was like at 10x on the zoom... and its quite dark outside as well. Nice capture, that's using your eye. Step into the light... Looks like the Mothership from Close Encounters. That movie freaked me out!! !